October 20th in Premium Themes by Wordpress Jedi . Chapters: just finished your book? Want to share a few chapters of your book with the world to give your visitors more reasons to pay for your work. This theme can help. 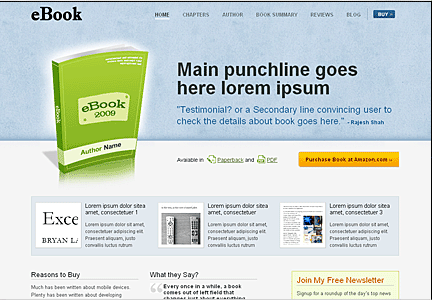 eBook Theme: the perfect solution if you have written an e-book and want to sell it on your own website. It can be used to create a mini portal site to pitch your ebook with. MyApp: an attractive application designed specifically for those of you who are into developing iPhone applications. It is professional looking and easy to customize. Venture: a fast and sleek theme by StudioPress for businesses, startups, and anyone with a product to offer to the world. Based on all powerful Genesis Framework. 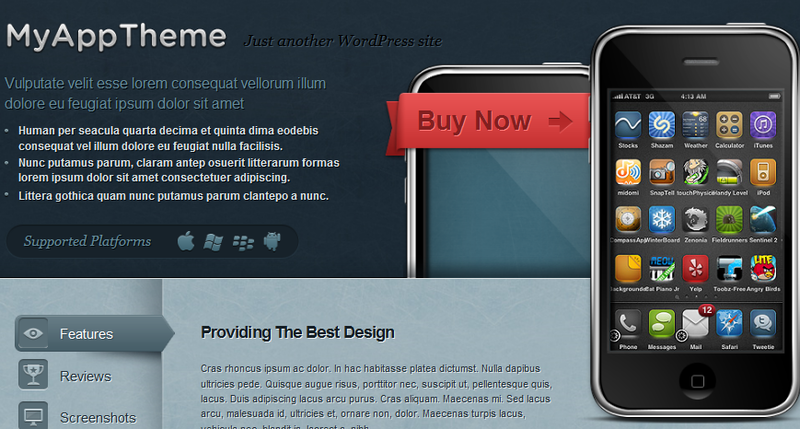 Productz: a versatile theme that can be used to promote your business’ goods and services. You can use it to promote multiple products. It can handle your product videos too. If you have created a product recently and want to promote it online without having to go broke, the above themes can help.